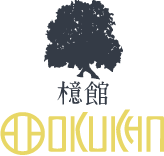 OKUKAN is a modern Japanese martial arts school of karate-Do, based in Melbourne. OKUKAN teaches the authentic Shitoryu style of karate, as originally founded by Master Kenwa Mabuni and later endorsed by the World Karate Federation (WKF), with high quality instruction and affiliation to mainstream peak bodies. OKUKAN adult students receive high quality karate instruction. Our adult martial arts classes require no previous karate experience, and are delivered by head and founder Sensei Sandra continuously throughout the year. All children’s classes are delivered by head and founder Sensei Sandra. Students learn strong foundations of Japanese Shitoryu karate and acquire valuable self defence skills in the process. Sensei Sandra is committed to delivering the best possible karate instruction and a safe form of martial art that caters to all ages. Read more about Sensei Sandra here. Our form of karate is government recognised within Australia and furthermore internationally endorsed by the International Olympic Committee. Karate is an Olympic Sport. Sensei Sandra is affiliated to the World Shitoryu Karate Federation and the World Karate Federation via Australian Representatives. These affiliations ensure our students learn modern martial arts that comply with international standards, and karate’s latest developments and trends. How do you say it? Ock-oooh-can! OKUKAN delivers the mainstream Shitoryu style of karate-do, which is one of the four main styles of karate in Japan. We are a traditionalist mainstream school that proudly follows the global style guidelines provided by the Shitoryu/Shitokai headquarters in Japan. The head of our organisation is the son of the founder of Shitoryu, Grandmaster Kenei Mabuni. Our martial arts school has a challenging karate syllabus that includes over 50 forms and a large number of useful drills. Classes in our school are strongly influenced by generic Japanese approaches to oriental disciplines, such as Buddhism and the warrior culture. Shitoryu is a very practical style: movements tend to be short and swift, demanding only the right amount of effort. Broadly speaking, training sessions consist of a combination of self-defence, form and sparring. You can opt-out of sparring if preferred. Shitoryu curriculum contemplates the major aspects of empty hand fighting. Training Shitoryu will give students a level of expertise in blocks, attacks, breathing, speed and power, body movement and shift, precision, readiness, rhythm, timing, concentration, sight, accuracy, and balance. The learning of these aspects is evidenced in kata (pattern), bunkai (self-defence application), kihon (form practice), and kumite (sparring). In addition, students develop an appreciation of ethics. ‘Dojo Kun’ and ‘Shitoryu Five Way Spirit’ are pivotal to understanding the code of conduct that frames Shitoryu. There are more than 50 styles of karate in Japan. During the 1990’s four of these styles were selected in Japan to provide worldwide leadership in competitive sport. Until very recently, competitors could only perform ‘kata’ from these four styles in mainstream Karatedo tournaments. These styles are Shotokan, Gojyuryu, Wadoryu, and the style we practice at Okukan: Shitoryu. Shitoryu was devised by Master Kenwa Mabuni in the early 1900’s from a combination of the teachings of Master Itosu and Master Higaonna, two Okinawan masters from the eighteen hundreds. Shitoryu is now approved for competitive sport in the Olympics. Our students live in Clifton Hill, Collingwood, Abbotsford, Fitzroy, Fitzroy North, Brunswick, Brunswick East, Brunswick West, Northcote, Thornbury, Carlton, Carlton North, Ivanhoe, Richmond, Fairfield, Hawthorn, Kew, East Melbourne, West Melbourne, North Melbourne, Coburg, Pascoe Vale, Coburg North, Pascoe Vale South, Preston, Moonee Ponds, Travancore, Flemington, Kensignton, Port Melbourne, Docklands, South Melbourne, Albert Park, Ascot Vale, Essendon, Melbourne CBD and more. The Collingwood Leisure Centre is just 5km north-east from the Melbourne CBD, and our Coburg Dojo is 10km north of Melbourne’s CBD.